Disney travel has been a hot topic since opening dates for their new Star Wars Land were announced. With Disneyland’s opening May 31st and Walt Disney World’s opening August 29th, it’s earlier than most had anticipated (especially Disney World, which was originally ‘late fall’!). This means many who had planned to travel around the openings to avoid the chaos and crowds are having to rethink their trip dates. Whether you’re switching things around to avoid anytime near the opening, hitting up opening week or aren’t quite sure – here’s some tips on Preparing for Star Wars Land! While nobody REALLY knows what to expect from these huge openings – since there’s nothing really to compare it to except perhaps the Harry Potter lands at Universal – we can make some assumptions and plan as best as possible. What we do know is that for Disneyland’s opening, it will be on a ‘reservation basis’. The details are still a bit fuzzy, but it seems that instead of getting to the park hours ahead of time with the hopes of getting in, people will reserve what ‘time’ they can return to enter into Star Wars Land. Disney World’s version – located in the Hollywood Studios park – won’t be doing a reservation system, and neither park will be doing FastPass/FastPass+. While some are upset at this, I read an article that explains some of the math behind this, which makes sense and actually benefits pretty much everyone. After several conversations with others, looking at similar times such as Universal’s Harry Potter openings and Pandora over at Disney’s Animal Kingdom, there’s some tips we’ve all agreed upon that can help us prepare for Star Wars Land the best we can, given the overall uncertainty of how things will be. There’s no sugar-coating it, the park WILL be insanely crowded – and not just opening week, but for quite a long time after. If you look at when Pandora opened, there were still long waits for Flights of Passage more than a year later, and this is STAR WARS (so a much more crazy fan base – I can say that because I’m included!). Yes, the few weeks or months after opening will be the absolute worst, but it won’t die down significantly until much later. Also, only the Millennium Falcon: Smuggler’s Run will open at first – their second attraction, Star Wars: Rise of the Resistance, won’t open until a bit later (still no open date for it). That means you’ll have the crowds coming first for the whole area (food, sites, shops, etc.) and one ride, then a big surge AGAIN when they open the second attraction. Some people will wait until both are open, so it’s likely that the second surge will be as busy – if not more so – than the first. As you plan, just accept that there will be crowds (and if you’re not okay with that, perhaps plan for a year or two out when it may start to mellow) and go in with that as your expectation. Plan to be more patient, wait around longer, be more crowded, and certainly not able to fit in as much into your day. Decide if that’s worth it to you when picking your travel dates. Since Disneyland is doing a reservation basis for awhile, this applies mostly to Walt Disney World – get to the gates early. If you’re staying on-site, try to catch the first or second shuttle to the parks to help you be some of the first there. Note: This is for a bit AFTER opening day, as they’re anticipating people may even camp out for that part! But after that initial time, just try your best to get there early enough that you should be in the first few groups allowed into Star Wars Land. As they did with Pandora’s opening, it may be that a certain amount of people get in first, then they have a time limit inside the ‘land’. Once that’s up, another group or number of people get in, and so forth. Not sure if that’s how they’ll handle crowds this time, but given the amount of people and limited room inside the area, they’ll have to limit it somehow. Being early helps ensure you’ll be able to get in at least some point. Since there’s no guarantee how long it’ll take to get INTO the area, or how long you’ll be allowed once in there, it’s probably best to just plan a whole day for that park. Arrive early so you can get in sooner than the later arrivals, be prepared for lines and waits – then after you enjoy what we’re expecting to be an INCREDIBLE experience in Star Wars Land – you can decide where to go from there based on how long all of that took in the day. Perhaps schedule FastPass/FastPass+ for later in the day, just in case – but you’d hate to have a reservation around 11am only to arrive and find out you will barely be entering that land around then. Don’t rush yourself, as that will add stress and pressure – which isn’t helpful on vacation! If you’re a huge Star Wars fan (like us!) then you’ll likely put attendance here at the top of your list for your vacation must-dos. If crowds and long lines aren’t your style, and you aren’t too disappointed about waiting longer to see it all, then perhaps waiting a year or so until the crowds die down is the best choice for you. Decide what YOU really want for your vacation. Maybe you’ll still go and have a blast at the other parks, and just avoid this one for now because it isn’t as important to you. For us, we arranged our entire trip schedule so we can attend two days at Hollywood Studios, hoping that will be enough to see and do it all at Star Wars Land – but that’s because it’s high on our priorities. Also decide if just dealing with lines for the RIDE is what matters, then you choose to hurry out of there to less crowded areas – or perhaps you can’t wait to try the FOOD at the various locations, so those lines are a better use of your time. Also, even if you WANT to see everything, still list out your priorities for once you’re in Star Wars Land in case it takes more time than you planned. For example, if you really want to do the ride AND try the foods, but the waits were too long and time will be out after you do the ride and only one quick service place, know beforehand which one will take that spot out of your schedule. Overall, you need to not only have your expectations set realistically and have a good plan – because who knows how timing or crowds or lines will work out – but also make sure YOU are ready. Do you have something to keep yourself (or your kids) entertained in a several-hours-long ride line? Do you have the proper bag and supplies to last you through a very crowded, long day? Be sure you have things like water bottles, great shoes (because all the walking and standing), sunscreen and maybe a hat, plus snacks. After all, if the line wait is 7 hours long, you’re gonna get hungry! Be sure to take care of yourself while tackling Star Wars Land, for your sake AND for the sake of those around you – nobody wants to be in a crowd full of cranky, miserable people when they’re in the happiest place in the galaxy! Are you going to Star Wars Land this year? With the weather changing from winter to Spring (and back again, depending on where you are!) it’s a perfect time to cover a weather unit at preschool, Kindergarten or just for some fun learning activities for kids! 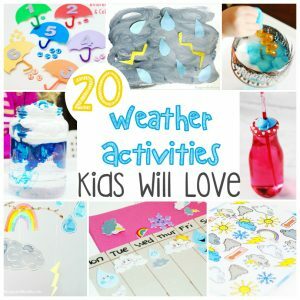 We put together a list of 20 Weather Activities Kids Will Love, from experiments to printables and more. Contains affiliate links for your convenience. See our disclosure. There’s some super fun weather crafts and activities here, from umbrella sorting, to I Spy, to homemade weather vanes and much more. There are plenty of great places to eat at Walt Disney World. Food has become a focus of the company ever since the massive success of the Epcot Festivals and the rise of food blogging and instagram. In order to get you to hashtag your hashbrowns, Disney comes up with some incredible stuff! While the many unique food items to come out seasonally are ‘hit and miss’ several permanent menus at counter service locations have shown improvement. Since there are so many counter service locations that will enhance your vacation experience on a budget, here are 5 Worst Disney World Quick Service Restaurants so you can limit the list. This is easily one of the worst counter service restaurants in Epcot. It’s a little unfair, because Epcot has so many quick service locations to choose from. However, that’s precisely the problem. Electric Umbrella is standard theme park fast food in a park that celebrates world cultures and cuisine and even grows its own produce. Electric Umbrella is the first dining location you come to in Epcot and it’s best to keep moving. Cosmic Rays is not a terrible place to eat, but it serves very basic food that just does not taste very impressive. Pecos Bill Tall Tale Cafe, Columbia Harbor House and Casey’s Corner are all far better places to spend your time and money in Magic Kingdom. Best yet, try the lunch at Be Our Guest restaurant because it’s still quick service! Please note this is different than the Yak and Yeti table service place, which we really enjoy.This food stand on the pathway from Asia to Africa in the Animal Kingdom park is a bit of a let down. While it has the right mix of food to satisfy a family with different tastes, the quality of the food is a mixed bag as well. Depending on what you order, this can be an acceptable stop or a disappointment. With so many snack carts and Flame Tree Barbecue (which can also give you the most bang for your buck) so close, don’t take the risk here. Or head over to Satu’li Canteen because holy cow it’s tasty (and unique)! Back to Epcot – this is the second worst counter service restaurant in Disney World. In the African Outpost, you have to be starving and somehow unable to move another hundred feet. If you like basic hotdogs but hate bratwurst, then you’re the target audience at Refreshment outpost. The food stand literally only serves a basic hot dog, along with soft serve, slushes and beverages. I can only see stopping here for a quick snack for your child if you have to (and we all know those instances do happen). Otherwise, you should ignore it and move on. NOTE: The exception to this is during festivals when it has special offerings! 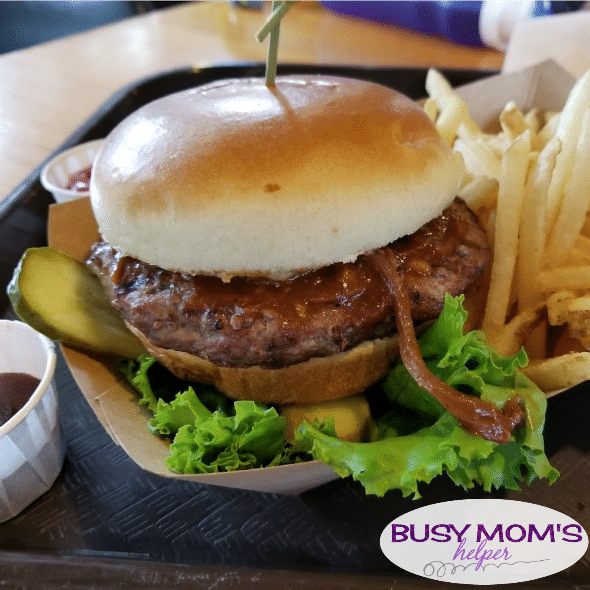 What’s your favorite quick service Disney World restaurant? Let’s face it, sometimes we just want a delicious dessert recipe that’s special – but we don’t always have time for homemade. Or you just HAVE boxed brownies, but want to spruce them up a bit instead of let them collect dust in your pantry. 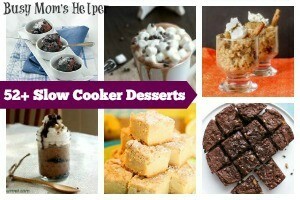 While brownies from a box may seem boring, here are 21+ Ways to Make Box Brownies Seem Gourmet! A few small tweaks or additions here and there can take a simple treat and turn it into the most popular brownie recipe at the party! 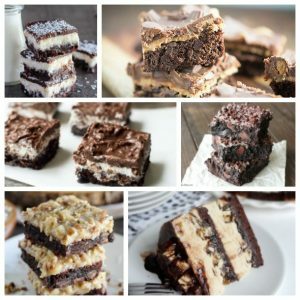 All of these recipes use a boxed brownie mix as the base, but then through either additions or swaps make them seem like a unique, fancy – and definitely delicious – brownie that’s perfect for any party, get-together, or just a night in! And if you’re feeling really ambitious…. We’re definitely not Disney newbies anymore – that ship sailed long ago, and we consider ourselves veterans at this point. With our many visits to the parks, we’ve learned well what items are truly useful to bother bringing, but also items that should be left at home or in the hotel. There’s many times when I’ve been going through security and saw a frazzled family being stopped because what they thought would be a wise packing choice ended up being a big regret. Save yourself the hassle, and avoid these 7 Things to NEVER Bring to Disney World, plus 10 You MUST! I previously shared about what you should pack for Disney trips, and even one that’s specific to Disney World packing ideas, but after so many people loved our 7 things to never bring on a cruise plus 10 you must – and asked us to do a Disney park version, we couldn’t resist! You don’t want to get to security – excited for all the rides, foods, parades, characters and fireworks – just to be told you have to either throw something away or even take it back to your hotel room. Keep in mind, Disney has an extensive list HERE that tells more specifically what isn’t allowed in the parks. Security is thorough, so don’t try to be sneaky and dishonest – this causes risks for everyone, and you don’t want to be responsible for ruining anyones magical vacation, especially yours! BONUS: Wrapped Presents – a birthday party or other celebration at a Disney park sounds amazing, but they have to be able to inspect everything you bring in, so sadly if you bring a wrapped present, they’ll have to open it up. Just do a cute gift bag instead! Sunscreen – I understand some people burn easier than others, but wouldn’t you rather be extra safe just in case, instead of risking all the pain of a sunburn for the rest of your trip? Sanitizer/Wipes – with that many people, I don’t even want to think about how many germs are there. Wash your hands often, and bring sanitizer for those random moments (a sticky handrail isn’t a nice surprise) and nab a pack of wet wipes like this one for the many messes! Collapsible Water Bottle – it’s super important to stay hydrated, but you can’t (and don’t want to) take a full water bottle on the rides. These water bottles have been amazing for all of our trips, hold enough water for awhile, then we just finish it off and fold them up for the rides. Love it! BONUS: Rubber Bands/Hair Bands – if you get a caricature like us, or the kiddos make a drawing at one of the kid stations in Epcot, you need to be able to roll it up to safely transport it home, so secure it with a rubber band or hair tie! Enjoy some Disney-themed trip planning printables in our ‘busy family pack‘ – and don’t forget our Autograph & Activity book! I admit that I didn’t know tons about Captain Marvel before the film – just bits and pieces from various comics or the cartoon shows my kids watch. I thought she was tough and cool, but no idea just how amazing she actually is! Seriously, I can honestly say she’s my new FAVORITE superhero – which is saying something, because there’s some incredible ones to pick from. My favorite thing about her is that she’s full of sass – but has a very kind, honest heart. Veers, as she’s known by her Kree ‘noble warrior hero’ companions, certainly isn’t perfect, which makes her that much more likable because we’ve all been through doubts or insecurities. Like Veers, we often find ourselves fighting with ‘one hand tied behind our backs’, so to speak. Letting others put limitations on us, holding us back from our full potential. Or maybe it’s ourselves that simply don’t allow ourselves to be as truly remarkable as we can be, as we’re meant to be. Either way, it’s time we take a cue from this new superhero and find out what are abilities REALLY are! Along for the ride, Veers brings on the infamous Nick Fury to help solve the puzzle – and since this is back in the 90’s, he’s quite a bit younger with much better vision (if you know what I mean) than the regular Avengers-era Fury we know. We also get to see the ‘newbie’ Coulson, who I already loved but now adore even more so – you’ll see why! There’s plenty of friends – old and new – joining her mission. My favorite may be ‘Lieutenant Trouble’ who is the cutest little girl full of personality. Seriously, she may even save the world herself someday! Since I don’t want to share an spoilers, here’s a few reasons you need to nab tickets to this movie (in theaters THIS WEEK) fast! During the credits, a sneak peak to get you more excited for the upcoming Avengers: Endgame next month! Woot woot! What really IS Captain Marvel? How did Nick come about the eye patch? 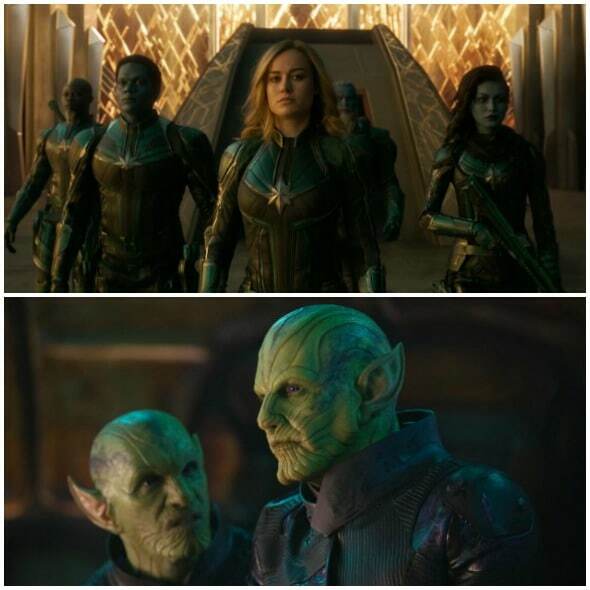 Why are the Skrull so afraid of Goose, the cat? Hurry & see why Captain Marvel is my new favorite hero – she’s in theaters now! We received a complimentary visit to try this flying adventure. All opinions are mine alone. We’ve all dreamed of flying with dragons – and now you can really experience the adventure and Fly with Toothless at iFly! Dreamworks and iFly have teamed up for the release of How To Train Your Dragon: The Hidden World to offer you an unforgettable experience that the whole family will be talking about for a long time to come. Our family had the opportunity to try out this unbelieve Virtual Reality experience, and we’re still on cloud 9! Our family was a mix of excitement and nervousness, as we had no clue what to expect from our exciting evening. Despite a few fears, even the littles couldn’t wait to try it out and were talking about it for many days leading up to our appointment! We went to the Dallas location, but the How to Train Your Dragon virtual reality experience is available nationwide (there’s over 30 locations in the U.S.) exclusively at iFly. First of all, the basics: While you can enjoy iFly indoor skydiving as young as 3 years old, the Virtual Reality (VR) experiences are for ages 6 and up and for weights up to 260 pounds. As first time flyers (but now definite repeats! ), our package included a short training to start – so they could explain how it works and the various hand signals used in the wind tunnel – as well as two 1-minute flights each before the VR. They provide the jumpsuits (can fit over regular clothes, just don’t wear something bulky), helmets, goggles and foam ear plugs. You do need to wear closed-toe shoes that won’t slip off. I’m so glad we got to try out the regular flight before, because you can really get a feel for the wind blowing and the instructor guiding your body around as you fly. Especially for the kiddos, I don’t know how they would’ve done having a VR set on without knowing their ‘real’ surroundings first. Plus we could experience the VR better as we weren’t as ‘flingy’ as the first flight! If your kiddos are a bit unsure like some of mine were, don’t worry – the instructors are incredible, preparing us with all the information beforehand and guiding us every step of the way. Ashley was with our crew, and I can’t speak highly enough of her. She kept it extremely fun, safe and was super patient with some of my littles that were more CLINGY…. If you’re wondering – after this first flight of his, he had his arms fully out for the second, so we were thrilled at his progress and feeling more at ease! Just from the flights, the kiddos were begging to come back again soon – and we hadn’t even done the awesome VR, yet! Now it was time for the BIG event – flying like a dragon! We raced Toothless and Astrid, but you can also pick Hiccup if you’d rather him. They get you all equipped with the VR headset outside of the tunnel, making sure it’s working and you can see. Then you begin your race in a fully-immersive and exhilarating adventure through the world of Berk from the new film How to Train Your Dragon: The Hidden World! The instructor has you the entire time, moving you around so your flight is totally life-like. They have a screen so the instructor can see exactly what you see, so they can move you perfectly around the mountains, hills or other obstacles you may encounter. Feel free to look around as much as you’d like, because there’s stuff to see ALL AROUND YOU, not just in front! It was so incredible to soar right along our beloved dragon Toothless, and really feel what it’s like to fly. This breathtaking journey is unforgettable, and it’s truly a family experience I recommend for everyone that’s able. My kids are STILL talking about it, and can’t to go back as soon as we can. Be sure to ask them about return pass deals when you’re there, because that’s when you can get the best prices! Of all the exciting things I’ve had the privilege of doing for this site, I can honestly say that this was definitely in my top 10 favorites! Hurry and schedule your time to try out this incredible VR experience to feel and see for yourself what it really is like to fly like a dragon! Who’s YOUR favorite from How to Train Your Dragon? I was provided tour guide services to facilitate this review. As always, all opinions are mine alone and I will only promote services I truly enjoy and recommend. Since I don’t want to overwhelm y’all with a zillion posts from my incredible trip to Florida, I’ll be spreading them out over the next couple months because there’s SO MUCH to share with you! For now, I’m thrilled to let you Meet Michael’s VIPs, the amazing private tour guide company that I had the privilege of working with and trying out their services. Guys, they were PHENOMENAL, and made the trip a million times less stressful – plus we got to experience a lot more – than if we’d tackled the parks by ourselves. May contain affiliate links that help support this blog. See our disclosure. So what exactly is Michael’s VIPs? They’re a private tour guide company in Central Florida you can hire for your trip to Walt Disney World, Universal Studios, Sea World – or even other locations in the area! They’ve learned the ins and outs of all these parks, and I was astonished all the knowledge they have of the history, operations and happenings. So why choose Michael’s VIPs? Michael’s was founded by a former Walt Disney World VIP Tour Guide in 1999, and they’ve grown like crazy from the amazing recommendations they receive from happy clients. Once people experience the parks with such a valuable guide, they learn that it’s the best way to vacation! Now, normally they try to put you with the same guide for the duration of your trip, but since we wanted to get to know a few of their guides and see what each of them had to offer, we were joined by a new guide each day for a different park. Without further ado, let me introduce you to the great staff we got to enjoy for our trip! You know those people that are so sweet, full of sunshine and energy, and you can’t help but absolutely adore? That would be Renee! She was so much fun, and her bubbly personality made the Magic Kingdom that much more magical – it was almost contagious. We loved hearing about her previous jobs at Disney, and got to ride everything we wanted that day. When our Jungle Cruise fast passes were going to make us late for our reservation at Cinderella’s Royal Table for lunch, she worked some magic and fit it in afterwards without much of a wait. She knew where all the fun play areas for kids were around the park, as well as some entertaining cue lines. She talked about the families she’s worked with before (many repeats, because you can’t help but love Renee!) with such fondness, you could tell she really loves her job. We called her our ‘walking, talking guide map‘ because she knew exactly where to go, including some shortcuts, so we didn’t waste time wandering lost. Since she’d worked for Disney before, she was able to tell us a lot about the changes made in the past, how certain things are done, how the shows and entertainment has evolved, and much more. Oh, and we had a great time chatting everything Star Wars!!! With her excitement for all the magic of Disney, plus how much she got into the spirit of it and totally adored the kids all around, I highly recommend her for families with kids. 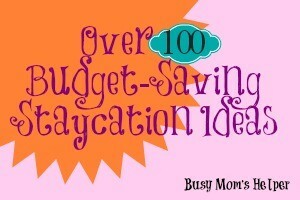 Or just a girls day – since it was just my mom and I, it was a great start to the trip! She even checked in on us later in the week to make sure we were having a great time. Thank you Renee! While there’s rules in Disney that their employees can’t also do an outside guide service, Universal doesn’t – so Jason does Michael’s VIPS AND works in the Wizarding World of Harry Potter! Needless to say, this made him super knowledgeable and perfect for these parks. I lost count of how many people working said ‘hi’ to him as we were there. Like all the guides, Jason knew exactly where to go, the best order/ways to do rides, and when shows were happening. He was also full of information so we could learn more about the history and operations of Universal. Jason was sure to show us all the kid areas, too, since Universal does lean more towards older kids. I hadn’t realized there were some really fun places for the younger group, too! He was great to not tell us if a ride was ‘good’ or not beforehand, letting us judge for ourselves. And since my mom was worried about getting sick on Forbidden Journey – the ride he actually works as Lead on – he had tips to help keep the motion sickness at bay. When Hogwarts Express was down for the day for repairs, he smoothly adjusted our plans and schedule without missing a beat. Amazing! It was such a fun day, and we had a blast talking with Jason! It’s one thing to look around the parks and ride the rides, but it was even better because we were learning about it all, as well. I think Jason’s the perfect guide for Universal & the Wizarding World of Harry Potter, and think he’d do great with a family with teens – they’d love chatting with him and going on the bigger rides! Oh, and he was such a gentleman, helping us carry our ridiculous amount of bags 😀 Thank you Jason! Chris is a former entertainer/stuntman for Disney, and you can tell he has the entertainer personality! Just super friendly, easy to chat with, and as with all of Michael’s VIPs he knows all the ins and outs of the parks. He joined us for breakfast to start off the day, and helped us take photos with characters and throughout the park (the Tree of Life was incredible, y’all!). He talked with us throughout the day on how WE wanted to spend out time, when we were ready to call it a day, and what we thought of the rides and shows we did. He even knew the best spots for each of the shows, so we had a great view. Chris is the perfect private tour guide for a high-energy group looking for an exciting, stress-free, fun-filled time with lots of entertainment and stories! Thanks Chris! You know those people who can spout out amazing facts about pretty much everything? Yup, that’s Rob when it comes to Disney World things, including Walt Disney himself! We learned so much, and had a great time touring Hollywood Studios. When we went longer than expected at lunch, Rob took care of switching fast passes (during lunch, without anyone noticing – these guys have such a knowledge of the My Disney Experience App and can fix things on the go!) so our afternoon wasn’t thrown completely off. We got to try every ride and show we wanted, and even though the layout of this particular park is wacky, he knew right where to go. He knew I was a Star Wars fan, just like him, so he made sure to wear his Millennium Falcon shirt for our day together! Kylo Ren wasn’t too fond of it though – haha! Rob would be especially great for those groups looking to not only have a super fun time in the parks, but also learn more about their history AND future plans (Toy Story Land & Star Wars Land – can’t wait!). Oh, and he takes GREAT ride photos 😉 Thanks Rob! For the past 7-8 months of planning (remember, you have to do dining 180 days prior, and fast passes 30-60 days), I’ve been in contact with Adam, the head guy now over at Michael’s VIPs. He was super helpful when we were deciding plans, recommending things and answering my million and one questions with ease. Once we agreed on a plan, he took care of the fast passes and meal reservations for me so I didn’t have to figure out the system or wake up super early for those hard-to-get dining times! He stopped in a couple of times during our visit to check on things, and was ‘That Guy’ in the Monster’s Inc. Laugh Floor show, which was hilarious for us. Not only was Adam professional and helpful with all the planning – and patiently dealt with any changes I needed – but also is just a downright friendly and easy to talk to guy. The guides had nothing but amazing things to say about him – and you know someone’s a great person if their employees think that highly of them! You rock, Adam! Thank you so much Adam & the rest of the team at Michael’s VIPs for an unforgettable trip! Hopefully we’ll see you again soon! For tickets or hotel deals, be sure to check out Get Away Today for the best prices – plus use Promo Code: BusyMomsHelper for even more savings! Tour Guides for Couples – is it worth it for JUST you two? 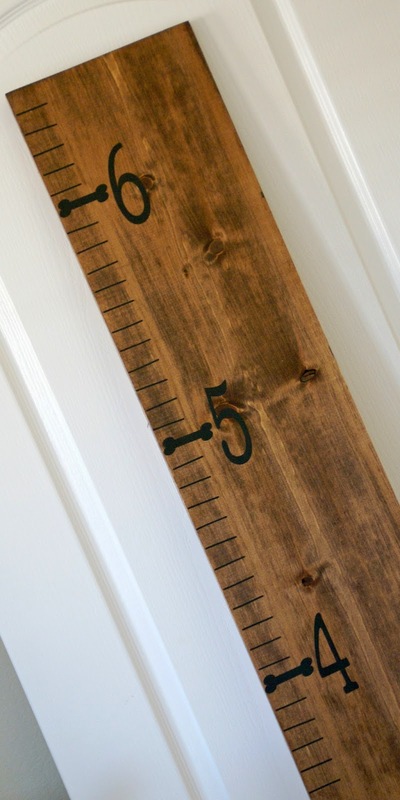 I’ve been wanting to do a growth chart for awhile, and have stressed about it more and more since my kids are already growing so much. I’m going to miss all their little growth spurts! 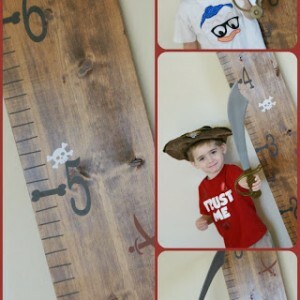 So what better for them than an adorable (yet simple and budget friendly) DIY Pirate Growth Chart?! 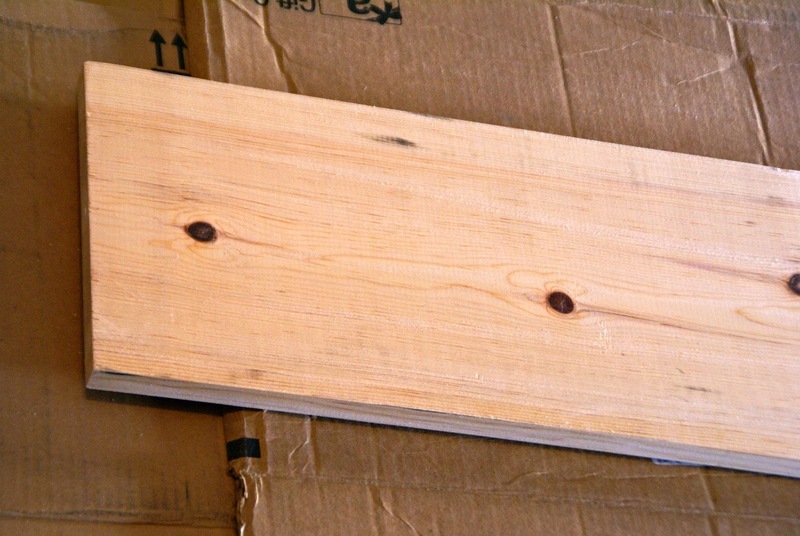 Take your plain board, lay it on something you don’t mind painting on. 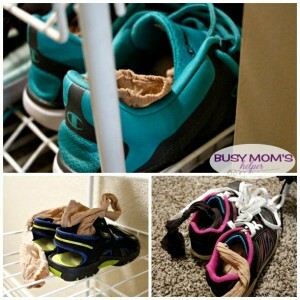 Choose an area with good ventilation, too, since the stain and sealant smell STRONG. You’ll also need to leave it in place for awhile to dry, so keep that in mind. Apply the stain according to canister directions. I did two coats on mine. Be sure to allow it to dry completely before adding the sealant, then after applying the sealant before handling. I then starting adding the vinyl. I chose to do bone shapes for my FOOT lines, so started by measuring and applying those. I did start with 1′ six inches from the bottom, since I’ll attach the board to the wall six inches off the ground. 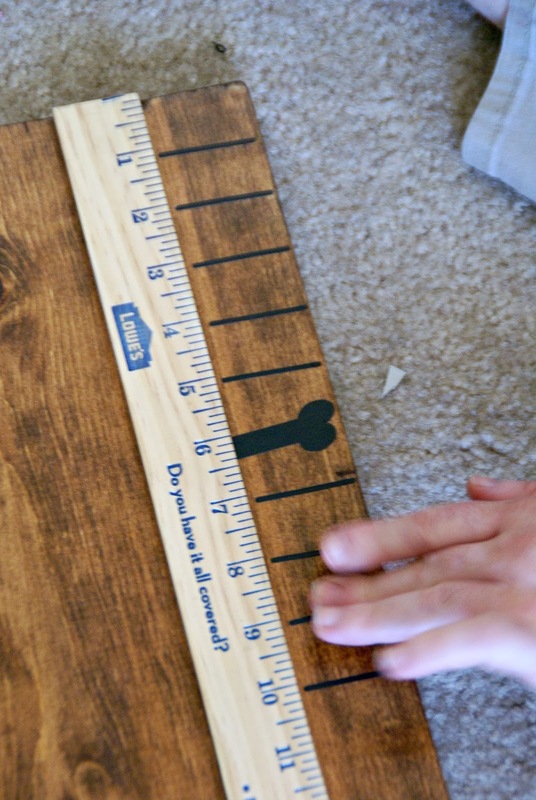 Then the ‘fun’ part, measuring out each inch. Tiny vinyl lines are not my friends! There’s your ‘almost’ complete board! Now you have the option of applying fun Pirate shapes and fun things: skulls, swords, flags, ships, steering wheels, bandanna caps. Or phrases like ‘Ahoy Matey’ or ‘Yo Ho Yo Ho’ or ‘Walk the Plank’. Have fun with it! 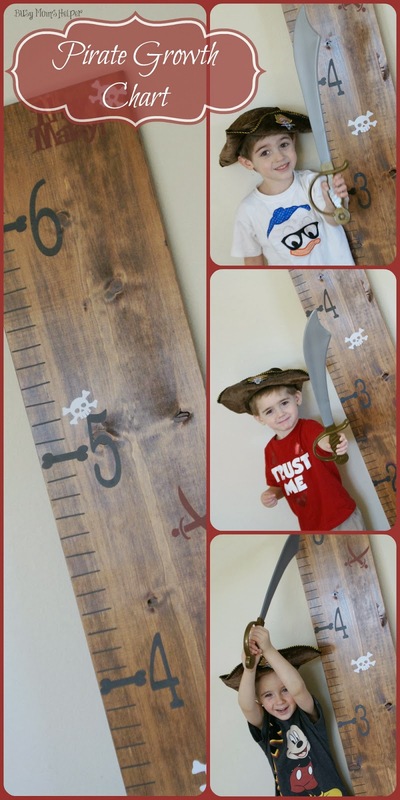 I can’t wait to track my little Pirate Mateys on this fun growth chart!! !